Hello girls! 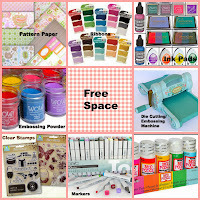 Hope you are having lots of fun crafting.. Today we have a very sweet and cute photo inspiration challenge at Addicted to stamps and more.. 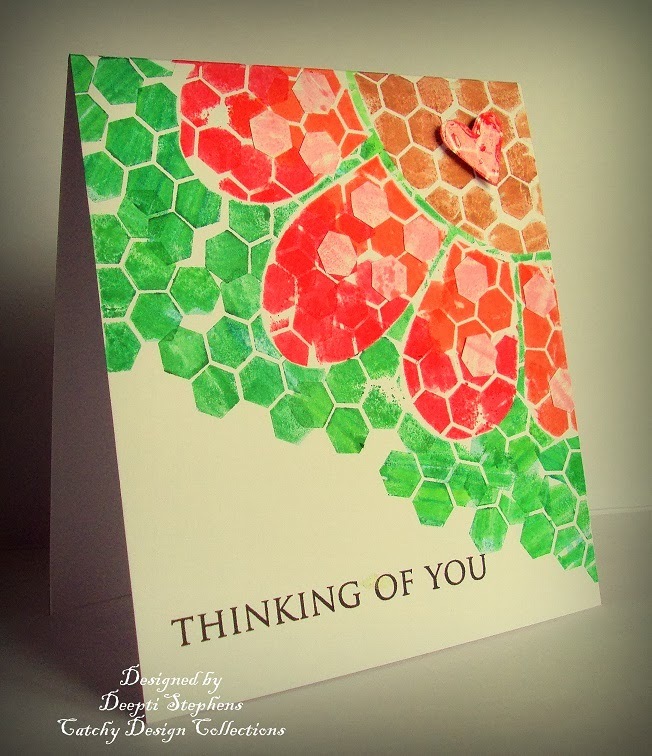 I made this card using scraps.. Cut the squares (pieces of scraps) using paper trimmer and colored them using Memento inks. 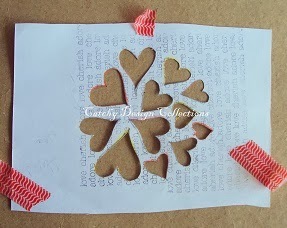 Stamped hearts (Prima) on a piece of scratch paper and fuzzy cut and adhered them using foam tape.. 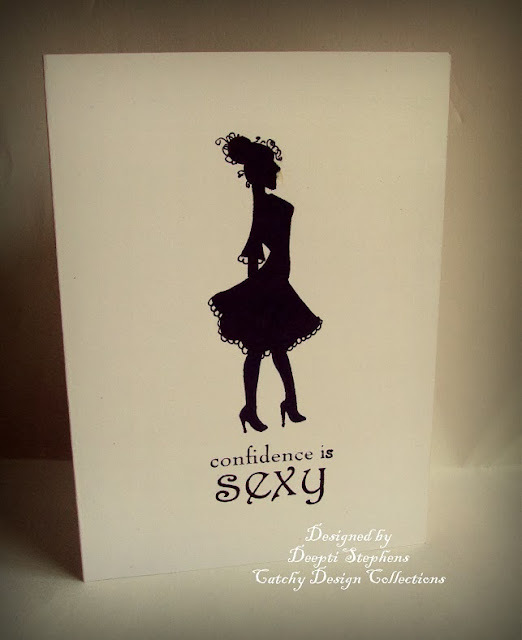 Finally stamped the sentiment (Hero Arts) with versafine black ink.. Just to add a little bit of interest I added twine at the top of the card! 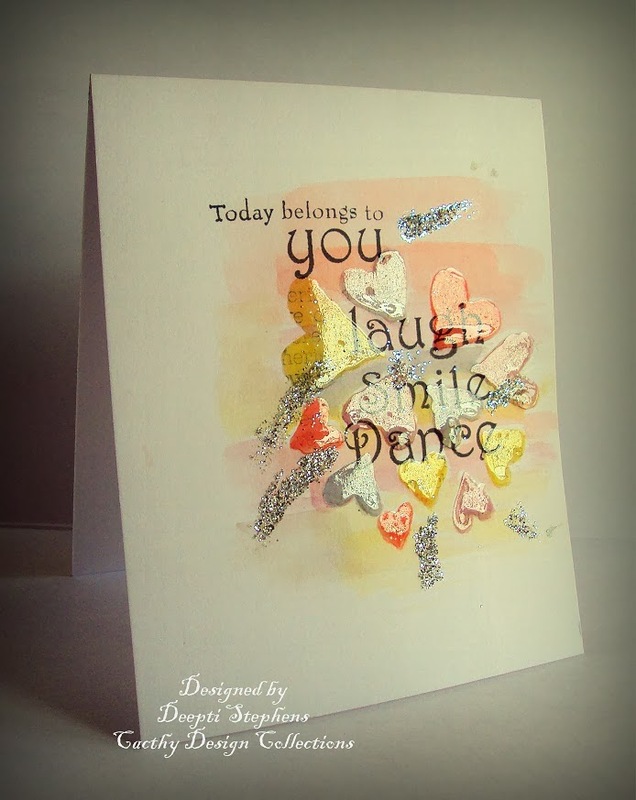 This week also we are being sponsored by Deedee designs..
And this card is for Lulupu #24 scrap your scraps, Itsy Bitsy Picture Bingo (stamps, free space and inkpads) and Keep it simple #32 Square.. 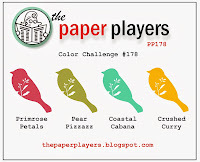 Thank you so much for visiting my blog and I would love to see you there at the challenge blog.. This is a one layer card with masking and stamping, used My mind's eye and Hero arts stamps (my new stamp set)..
Hello! 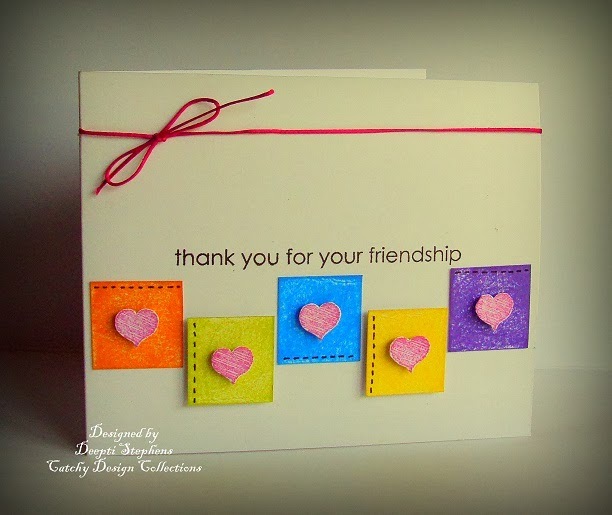 I'm here with a card inspired by 'facebook message logo'.. And this card is for a few challenges, CASology #70 (cue word Contrast), CASual Fridays CFC 126 (Color blocks), and CAS on Sunday #25 (lovely dovey).. Here is my card! I love the contrasting colors against the white or black back ground.. I hand drew those speech bubbles and hearts, colored them with water color pens.. 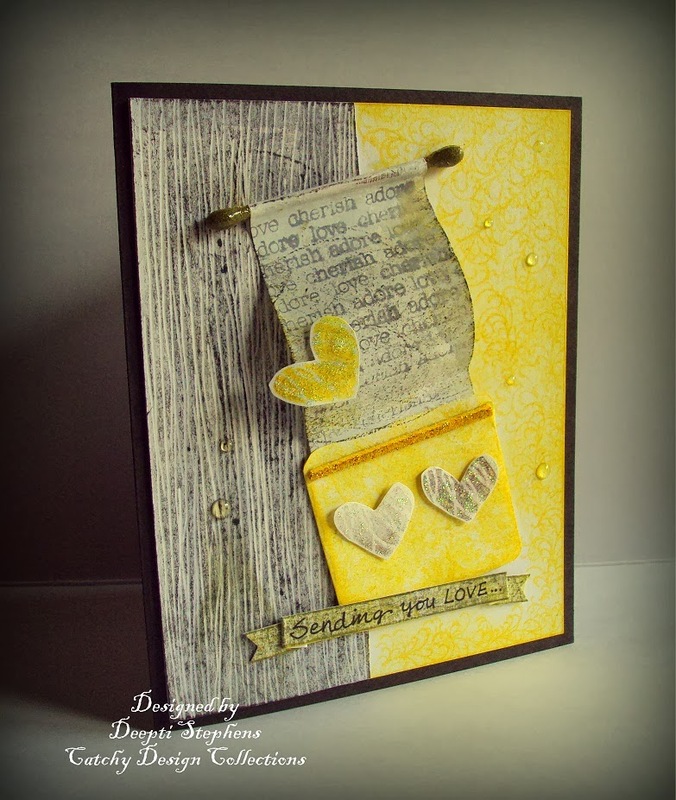 Stamped sentiments (scrappy cat, Kaisercraft, Prima and Hero arts) with versafine black ink.. 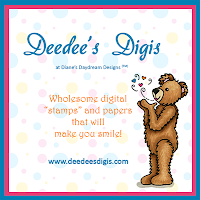 This week also we are sponsored by Deedee's Designs. And here is my card! I hand drew that cute pony and colored her with water color pens. 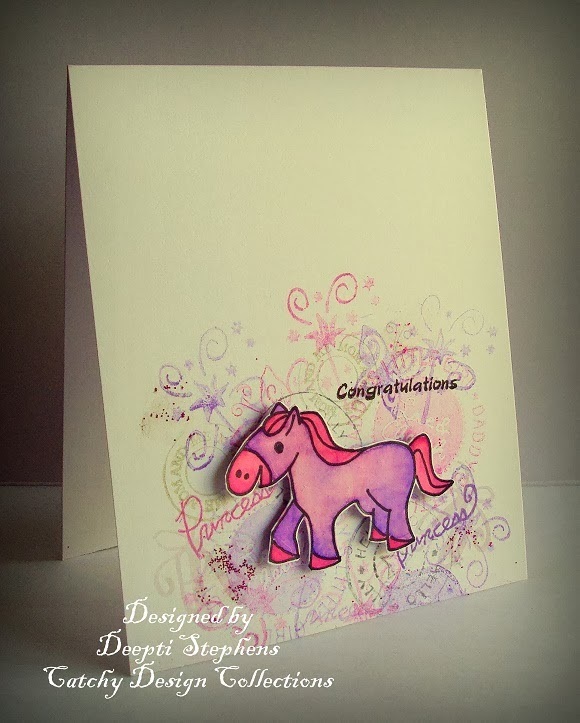 Stamped the background with different baby girl stamps from Scrappy cat. This card is for Less is More #155 (new baby), Addicted to CAS (code word new) and also I've chosen the colors from CAS-Colours and Sketches #57 ( I love these colors). Kindly visit the challenge blog for more details and for some awesome inspiration..
Hello friends! Hope you all had a great weekend. Tomorrow is Monday! I love Mondays.. Yay! I'm here with a card made for Case this sketch #60 and Inspired by #103.. I loved the inspiration pic. 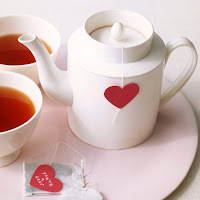 I'm not a tea lover but I love the color of tea. 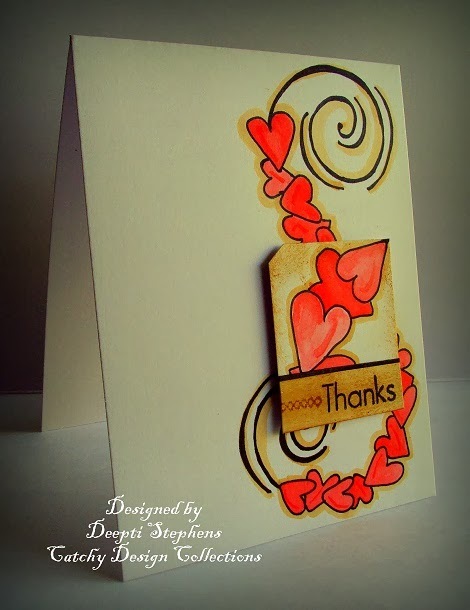 I was inspired by the white, red hearts and brown tea colors..
Also entering this card for Simon says stamp..
Hello! Yes! as the title.. 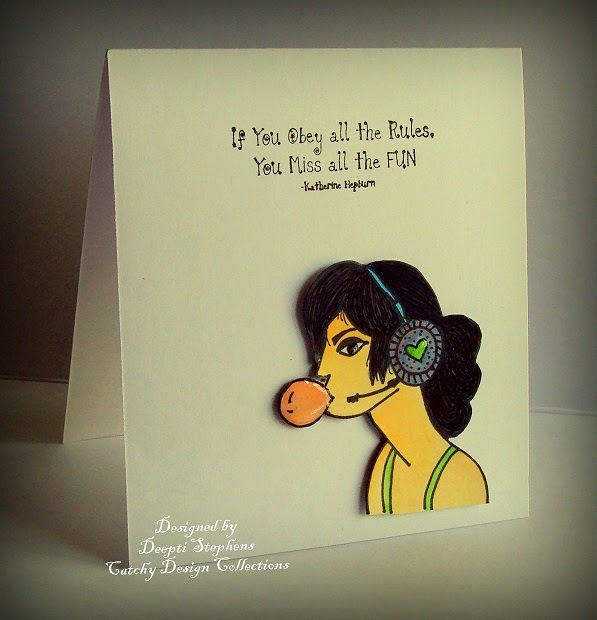 I'm here with a dotty card ;) made for CASology #78 and The Paper Players #178. I chose the cue word in casology and colors from TPP.. Here is my card! Hello buddies! 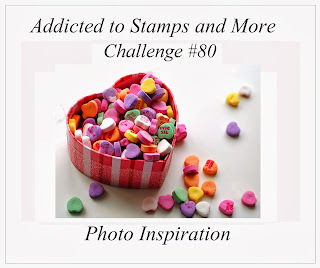 Welcome to yet another wonderful challenge at Addicted to Stamps and More. This week's challenge is 'holiday', any holiday will go. So I made a card for 'Republic Day'. 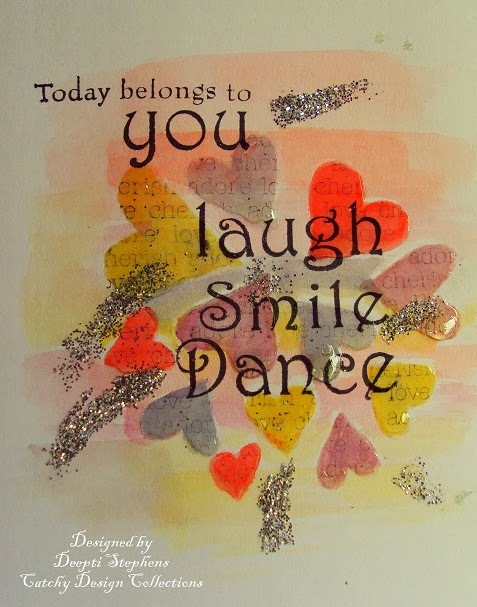 We, in India, celebrate 'Republic Day' on January 26th.. :) Here is my card! 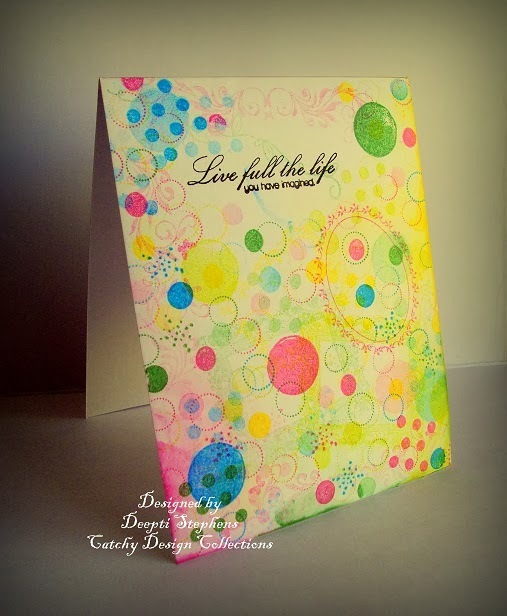 Stamped few dots in MI and stamped the sentiment in that way just to add a little bit of interest to my card..
We are so happy to have Gemma as our guest designer.. Kindly visit her blog Gem's little creations and leave some love.. Please check our challenge blog for more details and for some awesome inspirations.. 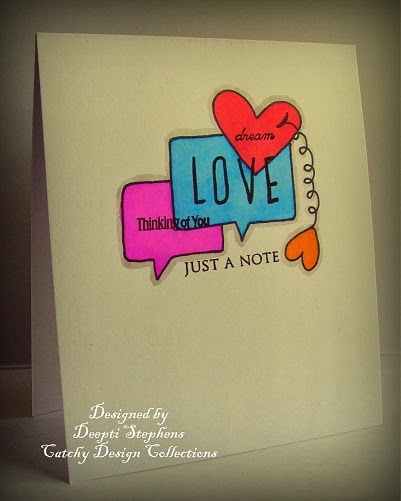 I did some masking, water coloring on my card and here it is..
Can you see the text inside the hearts?? Well.. here is the close up pic.. I added glossy accents and glitters..
Hope you like it.. See you very soon.. Take care! I inked up the big bubble wrap with Broken China DI and stamped. Then inked up the medium sized bubble wrap with Bahama blue MI and stamped and finally took the smallest bw inked up with Danube blue MI and stamped.. 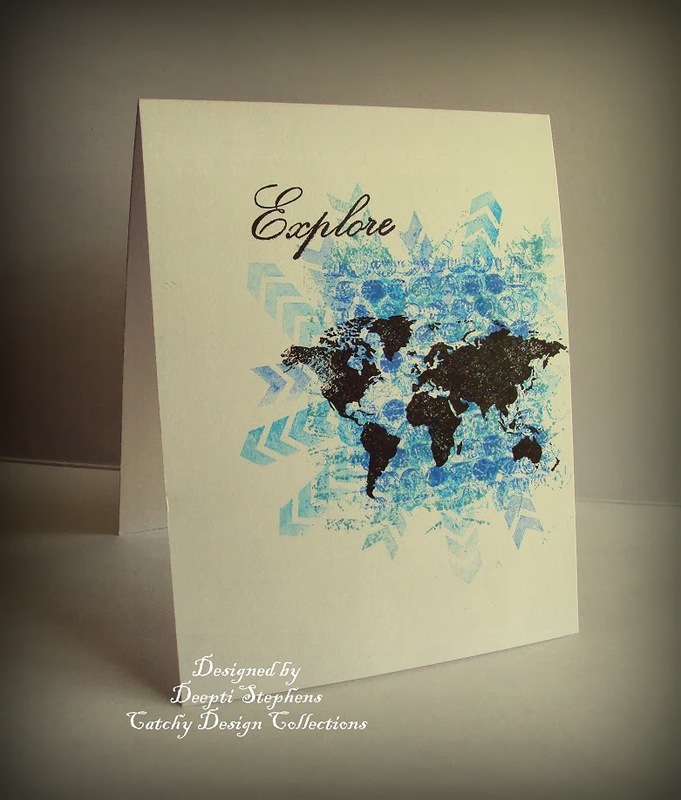 Took the map stamp (Teresa collins) and stamped with vesafine black ink. 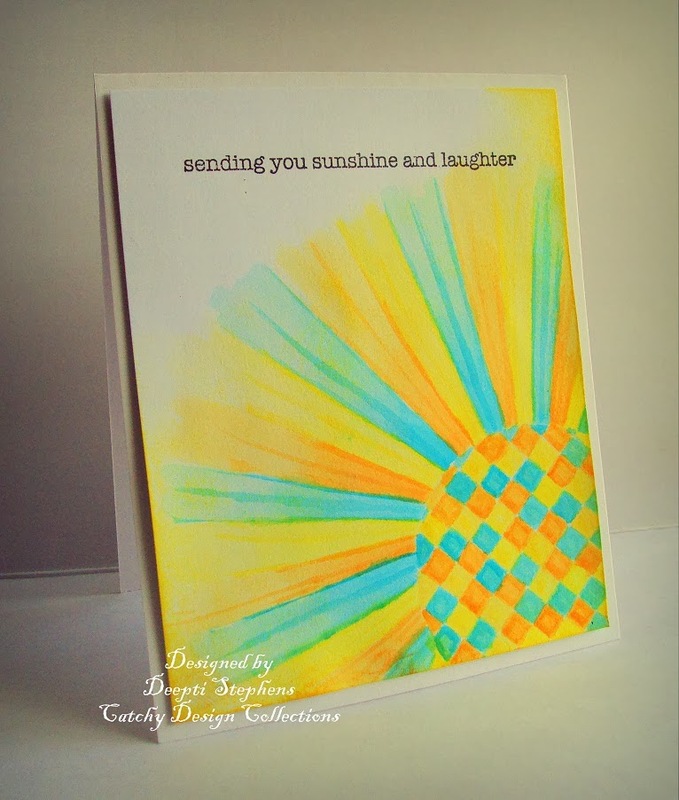 Stamped chevrons using the same three shades of inks.. 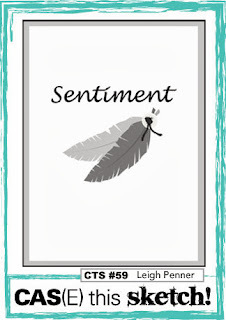 Finally stamped the sentiment (Kaisercraft). Well.. I made a card for CASology #77 and the cue word is 'bubbly'.. 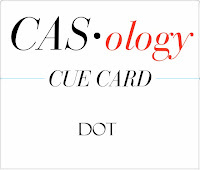 Here is my card! I hand drew that girl (was inspired by one of the google images), colored her with water color pens and finally stamped the sentiment (TPC Studio)..
Yea! Added glossy accents too.. Here is the closure look of the girl! Hope to see you soon.. Take care..
Alright! 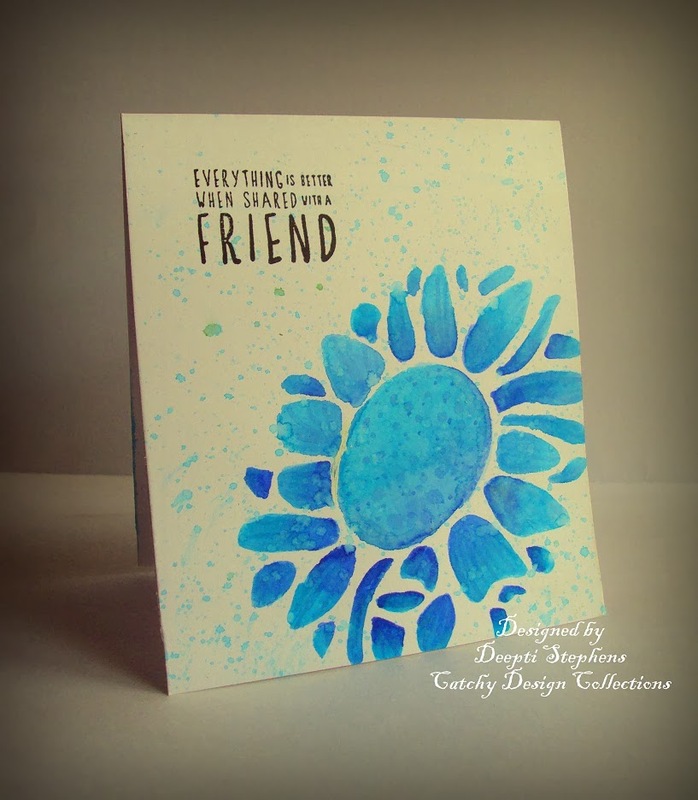 Here is the card I made for CASual Fridays CFC125 and Less is More #153, shades of blue.. And also entering for One Layer Simplicity OLS #1.. 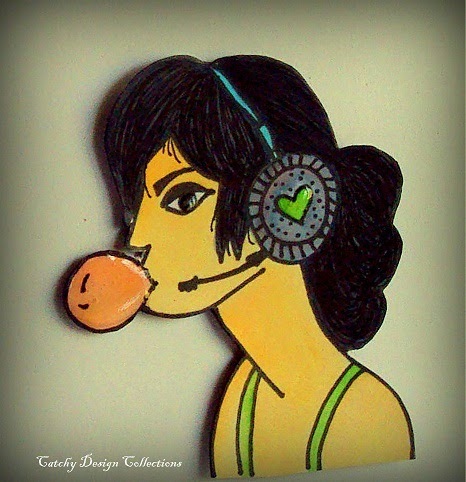 I used a stencil (local store), colored it in three different shades of water color pens.. 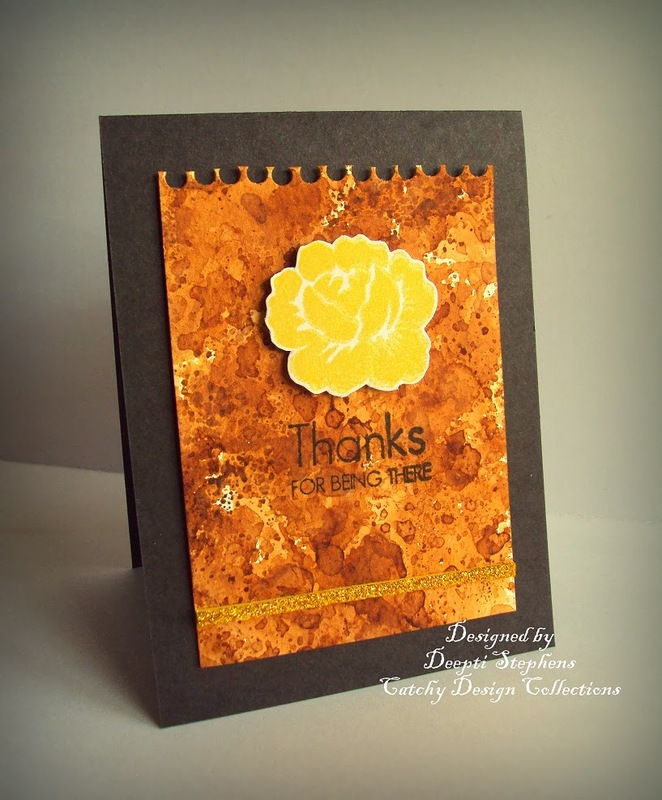 Stamped the sentiment (Kaisercraft) Isn't cool?? I just love it..
Hello friends! 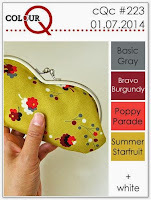 The color scheme at Inkspirational Challenge #47 is 'brown and yellow'. 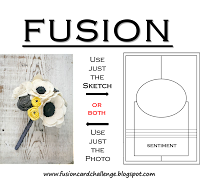 I absolutely love combining any color with brown like brown and blue (awesome) brown and red (wow) and this list goes on if I keep on saying.. :) So today I'm here with two brown and yellow cards.. I got inspired by one of the t-shirts of my brother. Tried to keep it masculine but I'm not sure whether I have achieved it or not.. Here is my second card.. I used Vintage photo ink for the back ground (love it).. 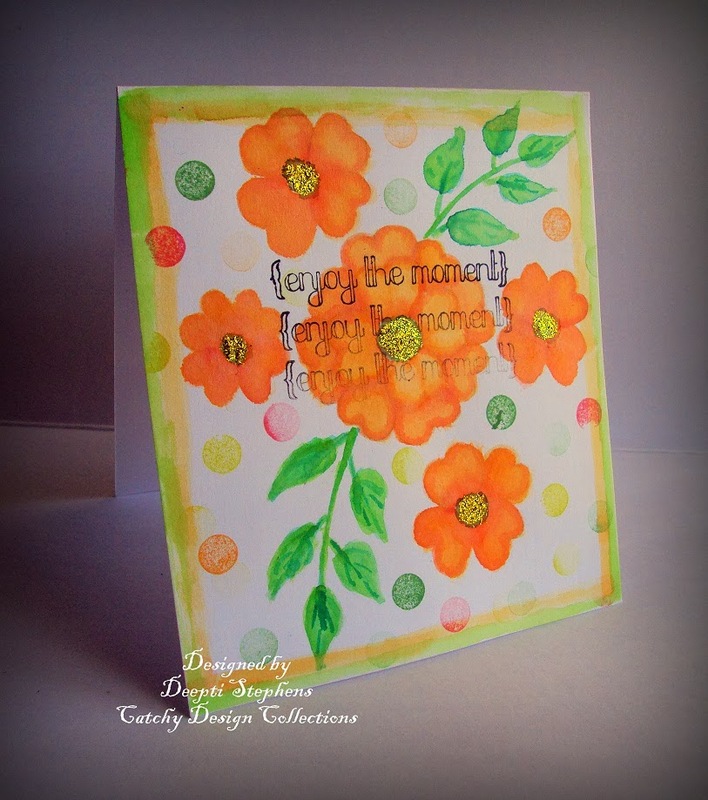 Stamped the flower (My Mind's eye) and stamped the sentiment too (Kaisercraft). Finally added a glitter strip at the bottom. Made that spiral page edge using a hole punch..
Hey everyone, I'm back again with a one layer card.. 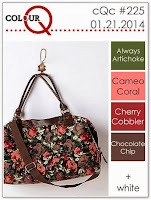 Entering this card for CASual Fridays CFC125.. Wish me good luck buddies..
Also entering for KIS #30, Anything goes..